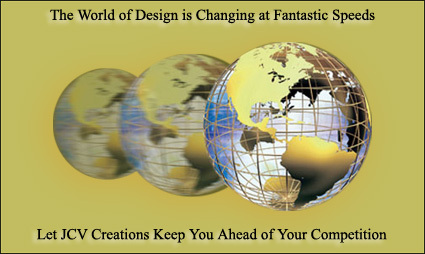 JCV Creations is a company with innovative ideas. Founded in 2001 our team has over twenty years experience in the creative design field. Whether your company desires web design or print production we view every client uniquely, enabling us to provide you with the best product possible. With offices in New York City, USA and Quito, Ecuador, JCV Creations is well positioned to provide bilingual service throughout North and South America. Through personalized service JCV guarantees that your business objectives are met in a cost effective and efficient manner. Our goal is to establish and maintain a unique image in your companies. © 2002 JCV CREATIONS. ALL RIGHTS RESERVED.